Chinese people are renowned for their remarkable work ethic. Just last week, a photograph of a Chinese schoolboy whose hair froze during a grueling hour-long walk to school in temperatures of -9°C went viral, proving their unparalleled commitment to their work and bettering themselves as individuals and as a nation. The Asian country has one of the fastest growing economies in the world, and, because it is such a vast place, construction work is ongoing in a number of regions to develop China into the unrivaled powerhouse of industry and commerce that it is likely to become in the future. 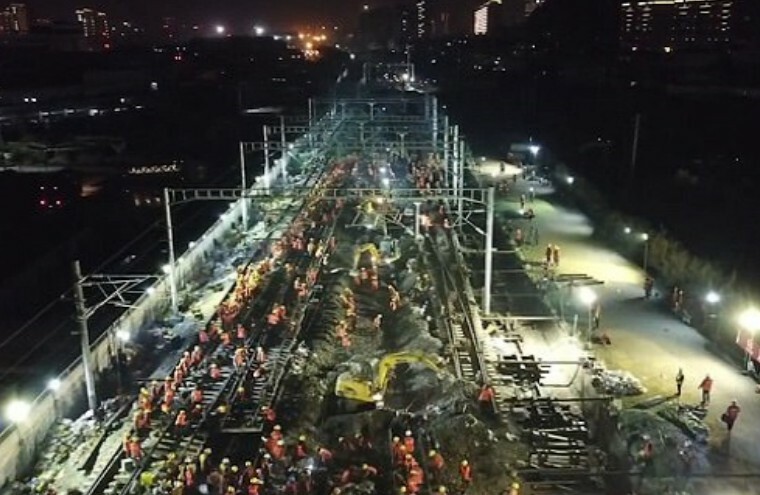 Now, incredible footage has emerged of 1,500 Chinese workers building a railroad for a new train station in just nine hours. The super fast build took place in the Fujian Province in southern China. In addition to the 1,500 workers, it involved the use of seven trains and 23 diggers. The new Nanlong Railway is going to be used to connect the existing Ganlong Railway, Ganruilong Railway and Zhanglong Railway, according to Xinhua News Agency. 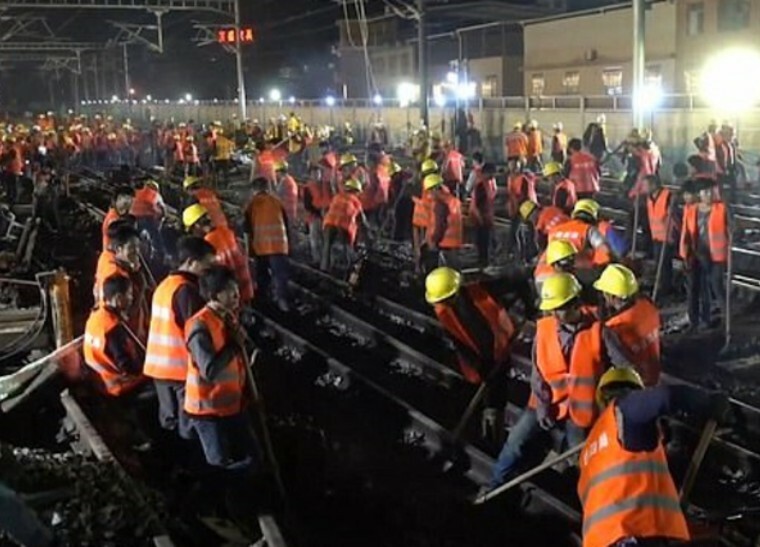 But the railway is not all that the army of workers constructed during the nine-hour period; workers also installed the traffic signals and a series of traffic monitoring equipment, beginning their work on the 19th of January and finishing the early hours of the 20th. The railway was built so quickly because the workers were strategically grouped, something which enabled them to complete various tasks simultaneously, said Zhan Daosong, a deputy manager at China Tiesiju Civil Engineering Group, the country’s main railroad builder.